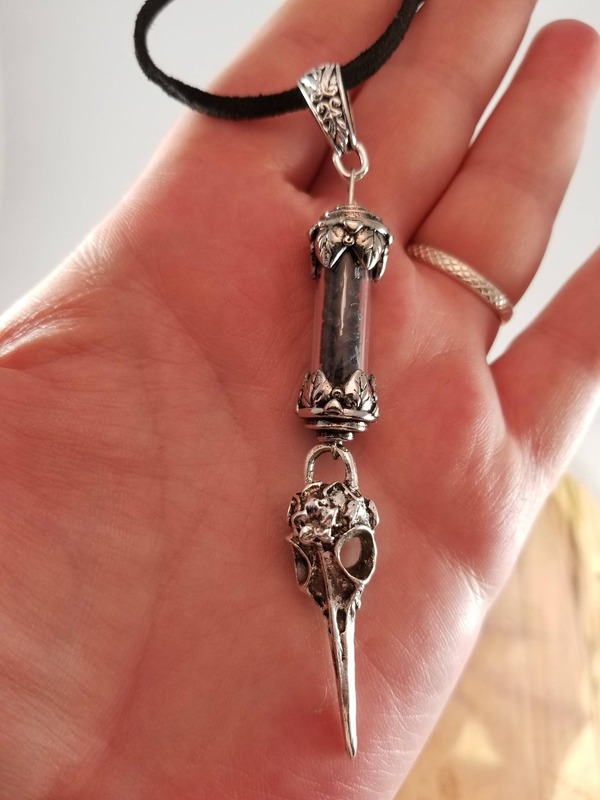 Black Salt Vial w/ Bird Skull Charm and Black Suede Cord! This handcrafted necklace was made by me. 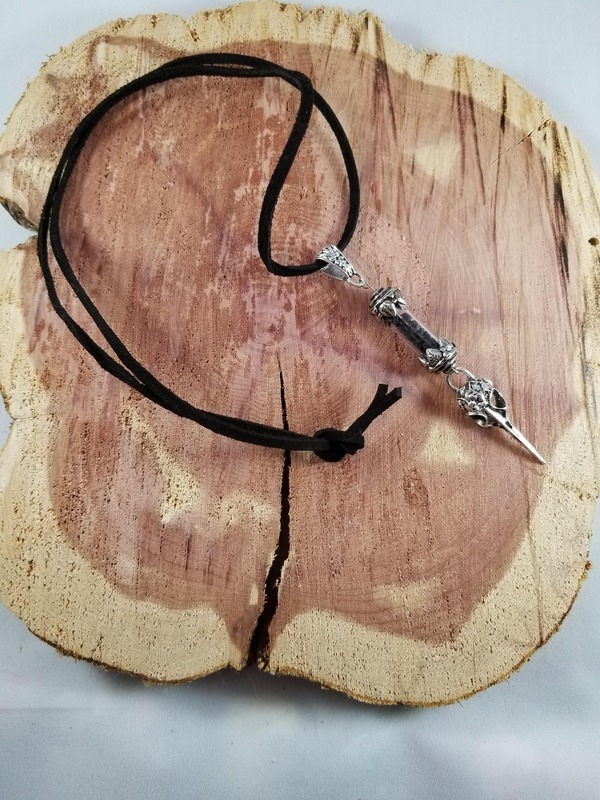 It contains black salt, and has a bird skull charm; also comes with a 22 inch Black Suede Cord. I have other cords options available for those who do not want animal products. 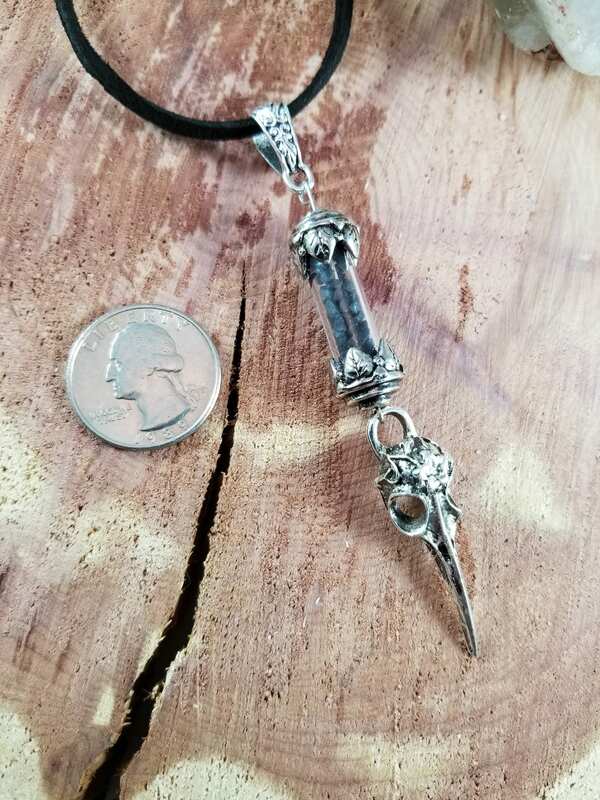 The pendant hangs about 2 1/4 inches. Due to Etsy policy I cannot list metaphysical properties of any herb, salt, symbol or stone. Please contact me with any questions. Incredible Craftmanship! Magickally powerful. Love Love Love this shop! This necklace is so beautiful and has helped me feel much safer going back to work after being out on disability for a long time. Thank you so much! 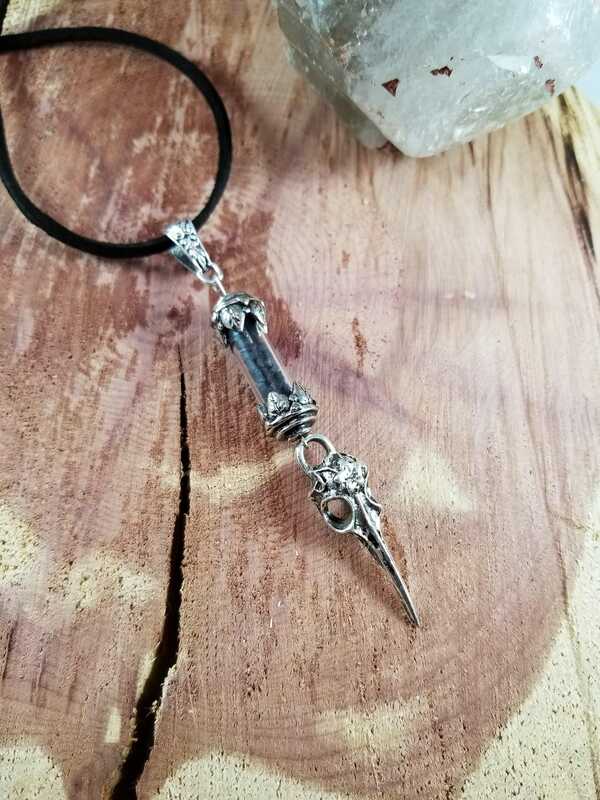 After losing my free floating salt vial for the millionth time, I decided to purchase a salt vial I could adorn. This item works perfectly! I also adored the Bird Skull Charm.